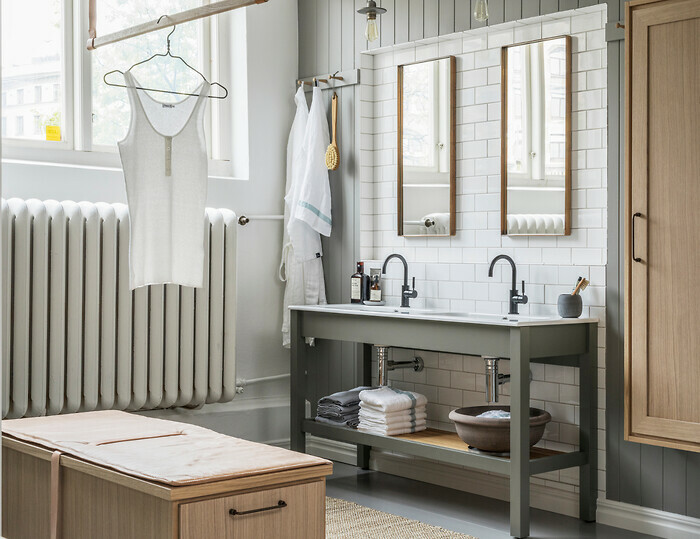 The wellness-room above them all is lifted to an extraordinary level with a new shaker-inspired bathroom collection from Kvänum Kitchens. Cool Classic Bath is scaled-down modernism, sophisticated elegance, exclusive craftsmanship and functionality concentrated in one room. 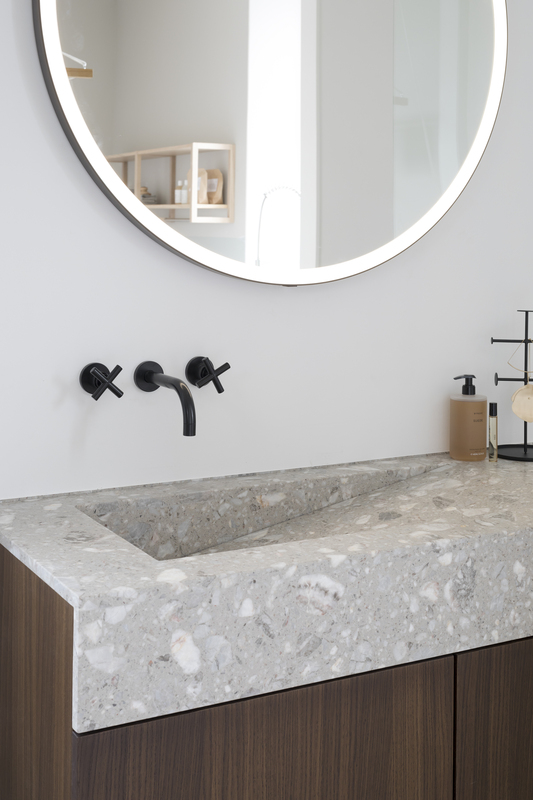 Concepts such as cozy and cool nordic are found in the new Cool Classic Bath concept from Kvänum, where the local Nordic roots are elegantly linked to global view - represented by a welcoming shaker inspiration. 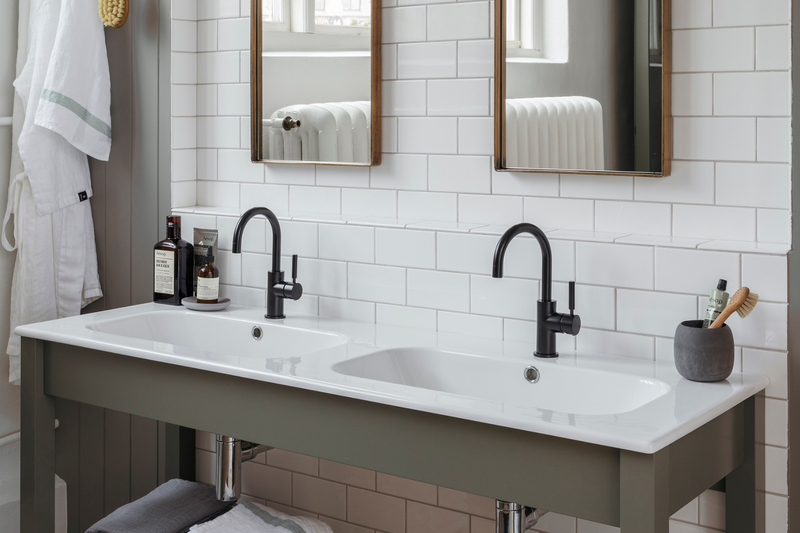 Based on Kvänum's well-known hundred-year-old crafts traditions, Cool Classic is all about a feel-good bathroom. A Bathroom with soul and warmth. 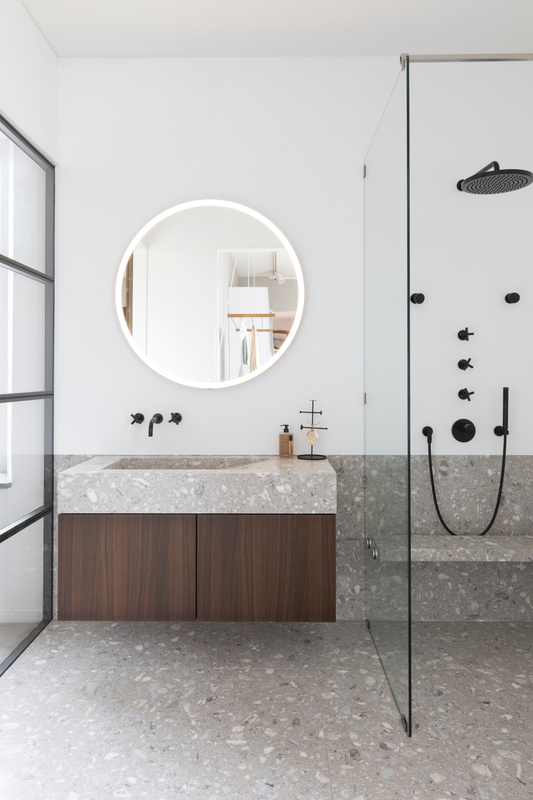 - With authentic and everlasting materials like oak, terrazzo and white porcelain, Cool Classic is a modern bathroom with classic references. Here are elements for both the modern and nostalgic decor. The elements make it possible to create style harmony or go with a thrilling contrasting staging, explains Kvänum's Danish Marketing Manager, architect Dorthe Due Theilade. Form and function in equal measures, and simplicity, purity and perfection are an integral part of the expression. With respect to the importance of the detail, classical and modern elements are mixed into a homogeneous whole, creating a visual bridge for the Nordic way of life - and a discreet reference to the Japanese Zen. One of the new pieces is Trolle in the color Forest - elements painted in a soft and dusty green shade. The cabinets have folded doors or function as open elements that fade perfectly into a 1930s-inspired decor. However, the elements have a stylized expression that also brings them to the forefront of 2018. 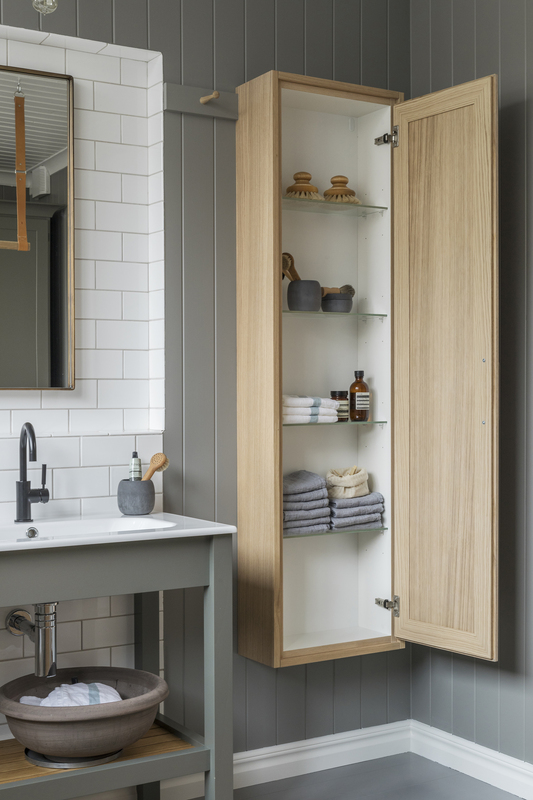 - The bathroom elements are available in many different surfaces and colors: oak, ash, elm and walnut or lacquered in a Nordic nature color palette. 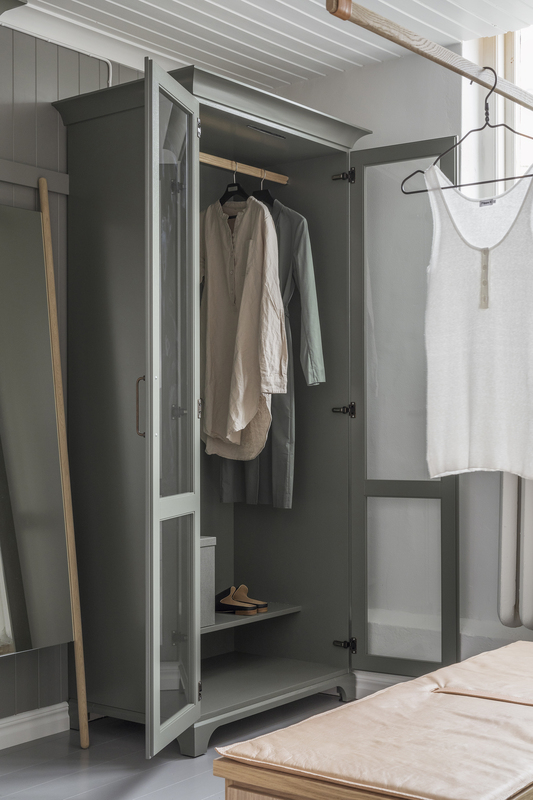 You can go all-in with a single color and wood or create a more dynamic look by mixing elements with different expressions, says Dorthe Due Theilade.